We are having a paint party at the shop this Friday, 4th July. 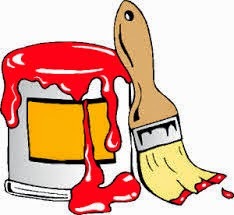 Come along and help us paint the shop ready for the re-opening. We've got the paint and will be there from 10am with cakes and drinks. Bring along your paint brush or roller and wear old clothes. We all can't wait to open Busy Bees again, so come and help us get it done. I would love to have come but I am having a new washing machine delivered sometime during the day so cannot get out.